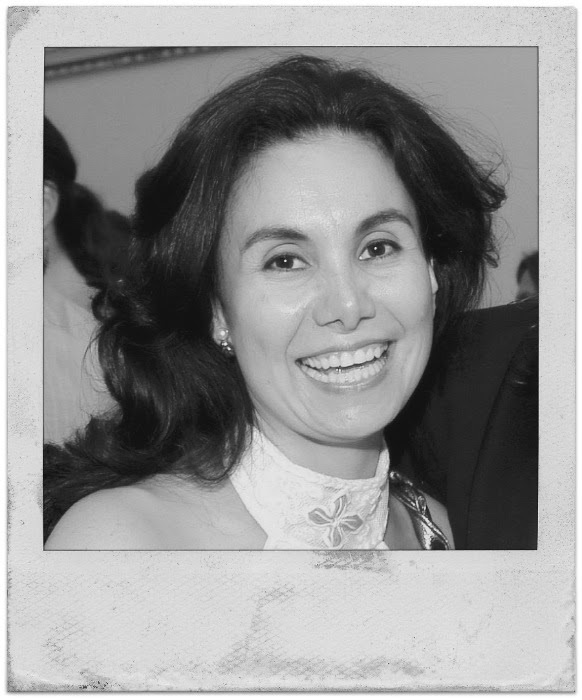 Blog Quick Quotes: Welcome to Marcia Lucia Gomez! Welcome to Marcia Lucia Gomez! We are so excited to continue to introduce to you some of our new members of the 2015 Design Team this week! Welcome to Marcia Lucia Gómez! Hi, I'm Martha Lucia Gómez, I am from Colombia, but now I live in Doral, Florida. My first language is Spanish, which is why when you visit my blog, you will see it is written in Spanish; but don't worry, I have a translate button. I studied Social Communications and Journalism, but I've loved crafts ever since I was a kid. Once upon a time I used to work with metal jewelry, but one day I discovered stamps, ink and paper, and I was hooked; now it is my passion. I continue working in my profession, but at the same time I work on my blog and in various Design Teams; I can definitely conclude that working with paper crafts is the best therapy. I live with my husband and our two daughters and I divide my time between my family, my work in a Public Relations Company and my passion: stamping and crafting. I love to create cards, 3D´s and alter different projects. I am looking forward to working with the Quick Quotes Design Team and sharing my passion with all of you! I am so excited to be part of the Design Team of Quick Quotes during this year! I am pretty sure that together we will spend the most wonderful time building our memories. Today I want to share a quick card that I made when I was exploring my first DT package. I decided to use the Quick Quotes CELEBRATE Paper Collection. To create the base of my card I used Concord Crush and White Card Stock. The third layer is the focus of my card. I am falling in love with these decorated papers! So here are the main instructions for this layer. Take a flower punch and cut several pieces from any two different colors of the Celebrate Collections Paper or any other collection. Ink the borders of the yellow flowers with Creamy Cocoa PowderPuff Chalk Ink and paste them one by one using dimensionals. Ink the borders of the purple flowers with Razz-Berry PowderPuff Chalk Ink and Feather Gray PowderPuff Chalk Ink and paste one by one using dimensionals. Cut leaves using a punch or die from a white card stock and ink it with Soft Sage Powder Chalk Ink and Khaki PowderPuff Chalk Ink. Cut the message Mothers Day and round the corners. I found this message in the Quick Quotes Bundle - Holiday. Cut a decorated label punch and make dry embossing on it to use this under the Quote. Finally arrange all the pieces and paste in different layers to get a beautiful dimension. All the products that I use in my card can be found in the Quick Quotes Store. I hope my card inspired you and please come and visit us for get more ideas that you can make as soon as you want. nice card! I am looking forward to working with you Marcia! Thank you ladies for your welcome words. We will have a great group! Hugs!